“Flexibility”in architecture refers to the ability of a building to continuously adapt its space layout and even its structure to evolving needs. Stemming from the Modernist movement’s dream which emerged in Japan in the 60’s, the ideal of buildings as constantly evolving entities blends together three main aspirations: the need for a more efficient built environment, an answer to urban centers densification and the humanist promise of a city that would adapt to its citizens. Buildings are no exception to the rule of supply and demand. They quite naturally go through uneven utilization cycles with ups & downs that can be explained by a broad set of reasons: tenants’ volatility, daily traffic, business seasonality or simply competitive rivalry. But, in contrast to this cyclical nature of use, the real estate industry is stuck with rigidity: the physical rigidity of space and the contractual rigidity of leases. As a result, space is far from being used efficiently. And under-performing spaces are depleting economic value. Given this spatial inefficiency, tuning spaces on a monthly, daily – or even an hourly – basis to achieve greater efficiency seems quite legitimate. At the same time, as city centers increasingly densify, finding available space is a growing concern. Identifying under-utilized spaces and revamping them to match demand is becoming a game changing paradigm. Finally, as the digital revolution carries the promise of a more personalized user experience, buildings might just be on the verge of following a similar trend. Through constant remodeling and reprogramming buildings could be tailored to their users’ needs, comfort, and expectations. All in all, building flexible spaces aims to create a more relevant built environment. However, achieving ‘’architectural flexibility’’ is a challenge that a number of investigations have tried to take up over the past century. 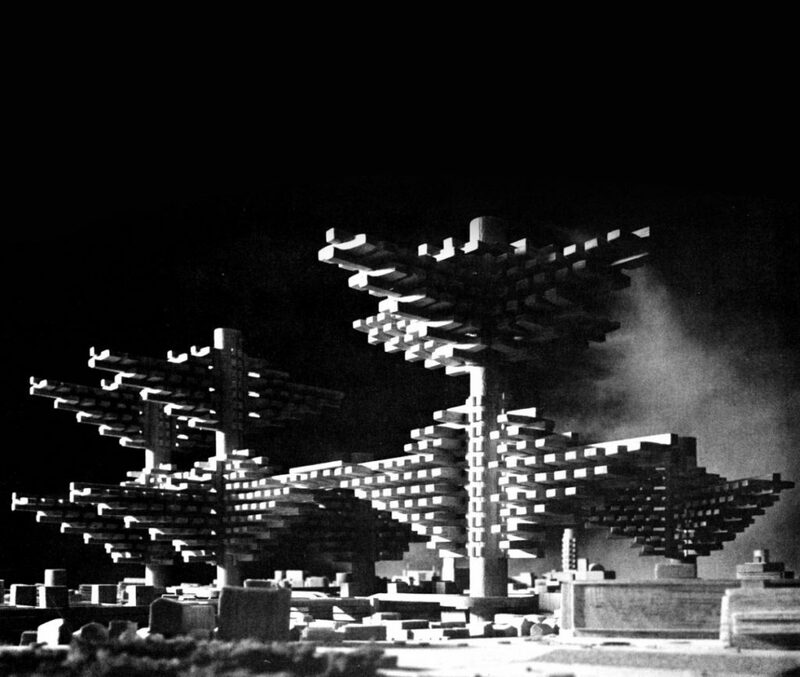 From the early stage of the Japanese Metabolist movement, to the formal flexibility of contemporary architecture, architects have progressively enshrined the principle of space plasticity. But, by and large, they have rather turned it into a style away from its initial ambition to make functional flexibility an actual operating principle. Today however, independently of any disciplinarian consideration, the emergence of Big Data powered by algo-rithmic and semi-automation, may put the promise of architectural flexibility within our reach. There are three good reasons to believe it is no longer just a utopic ideal. First, data and analytics could enable the built environment to better understand and forecast space utilization. Second, semi-automation could help adapt space layouts in near-to-real time, while optimizing users’ comfort and space efficiency. And three, society’s fast-moving evolution, including consumers’ behavior mutation, could timely leverage the disruptive potential of technologies. On this ground, we propose a revived architectural answer: The Synaptic Building. The Synaptic Building and our manifesto, rooted in the Metabolist tradition, positioning space flexibility as the corner-stone of the 21st century architectural practice. As Kikutake and Awazu, founders of the movement, write these lines, their intent is quite explicit: the Metabolist Japanese movement in Tokyo takes its roots into a certain faith in technology and social welfare. Mainly, three facets define their vision: a deep belief in Regeneration, the importance of society as the trigger of the built environment’s metabolism, and faith in technological advancement. The Metabolists placed value in the ideal of rebirth of the built environment, constantly morphing to adapt to society’s needs. They utilized modular housing and new production technics as a vector for these ideals. The growth of the metabolic city could not be sustained with traditional construction methods. 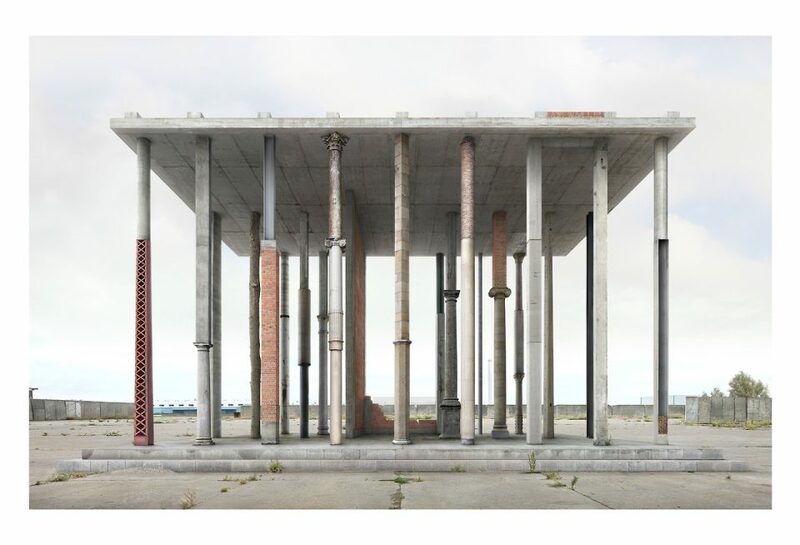 Rather than relying on tradition, and wood-based construction, the Metabolists turned to new construction methods such as reinforced concrete, prefabricated steel structures and mass-production as the means to achieve their vision. The ideal scheme of the metabolic building is derived from an analogy with biology and nature: a tree. The core, the vertical circulation and the serving functions would be hosted in a trunk-like megastructure, on to which prefabricated-habitation capsules would be added, and ultimately replaced. From the “trunk” (core) to the “branches” (units), concerns of function and lifespan are radically distinct: the core is long-lasting while the units are interchangeable. 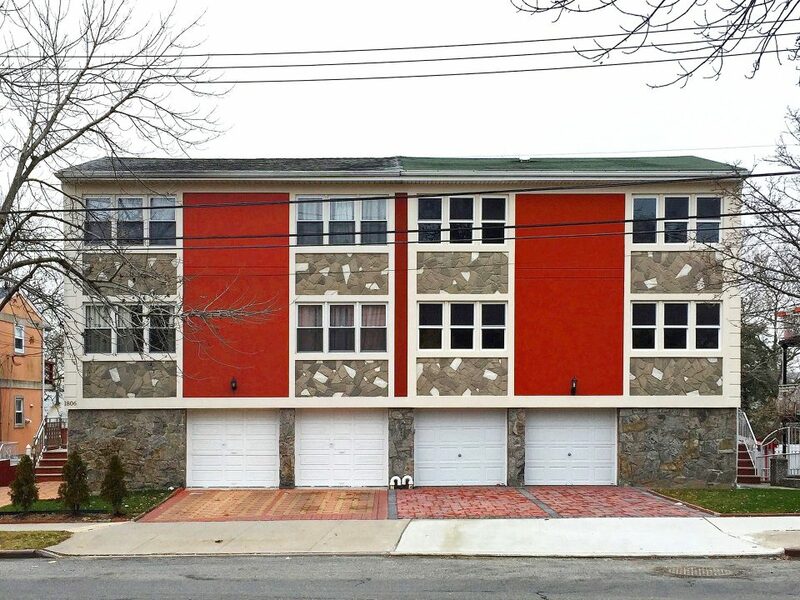 The core serves the units for access and structural support. 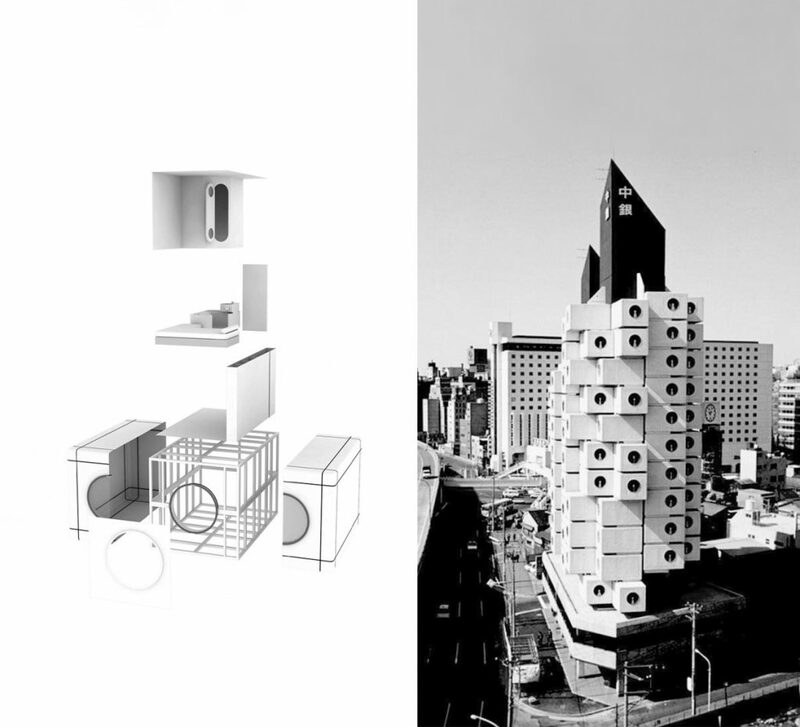 The Nagakin Capsule Tower, by Kisho Kurokawa best exemplifies the application of such a scheme. Built in 1972, the “Capsule Hotel” was an attempt by Kurokawa to align the Metabolist vision with the reality of construction. Using prefabricated units that would fit on transportation trucks Kurokawa erected in 30 days a residential tower, in the middle of the Shimbashi neighbor-hood, in Tokyo. 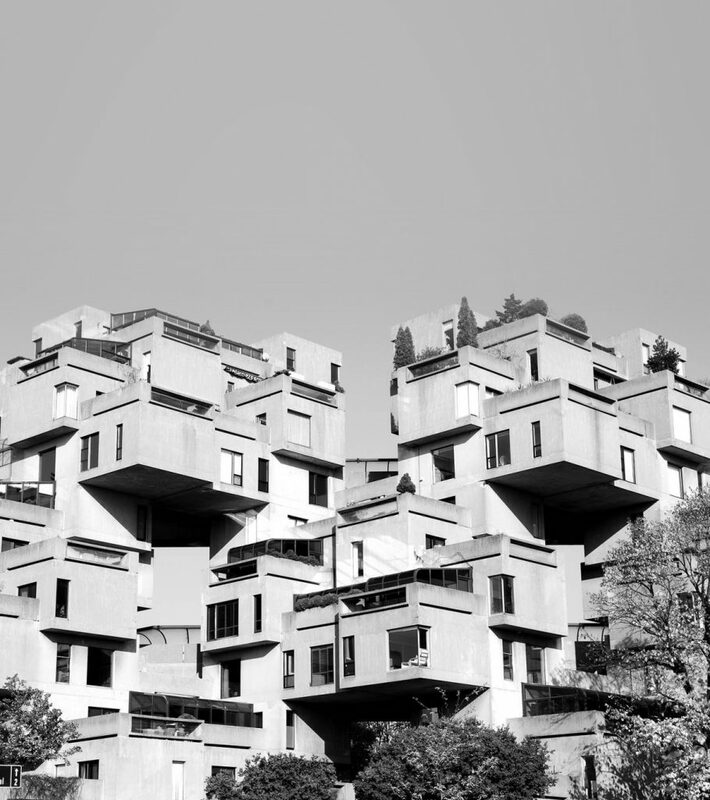 The square concrete core was designed to host an elevator and a stair case, giving access successively to each capsule. Each one was self-contained and entirely prefabricated before being brought on-site. Their simple and industrial design aimed at facilitating mass-production in the long run. Structurally, every unit was individually attached as a cantilever to the core, so that individual-removal or future replacements overtime could be easily performed. Kurokawa’s hope was that the tower usage would change overtime, and that the units would be re-newed and replaced to adapt to this evolution. The Japanese economic downturn of the early 1990’s, along with a lack of proper technical conception, prevented the Metabolists’ iconic landmarks from performing their intended objectives. No capsule was ever added to the Nagakin Tower or to the Shizuoka Broadcasting Tower. Kurokawa’s design, especially its structure, turned out to prevent individual capsule replacement. Overall, if the Metabolist aimed at space flexibility, the lack of technical conception along with a broader economic downturn, undermined their project viability and sustainability. Yet the echo of their radical ideal still resonates in contemporary architecture. In 1995, SANAA was founded in Tokyo by Kazuyo Sejima and Ryue Nishizawa. Still today, the firm exemplifies the contemporary period of Japanese architecture. Far from the verticality of the Nagakin tower, the horizontality of SANAA’s projects seem at first to offer an entirely new perspective on Architecture. However, a closer look at the plans of SANAA’s buildings reveals a parallel with the Metabolist manifesto: a revival of the unit as a free element in space. The matrix has vanished, leaving room for a continuous space into which the units are laid out. The focus is now on the “in-between” conditions that the neighboring of units creates. The system does not envision growth or reconfiguration, but the serendipity of the plan suggests a very organic organization of spaces. The flexibility that SANAA offers at the Rolex Learning Center borrows significantly from Metabolist principles. The library, information desk, shops, and working “bubbles” are purposely misaligned with the column grid, to suggest the organicity of the scheme. The units’ geometry is also distinct. The space left for “in-between” conditions is vast, and leaves room for its ap-propriation by the users (the couch area, the café, etc.). 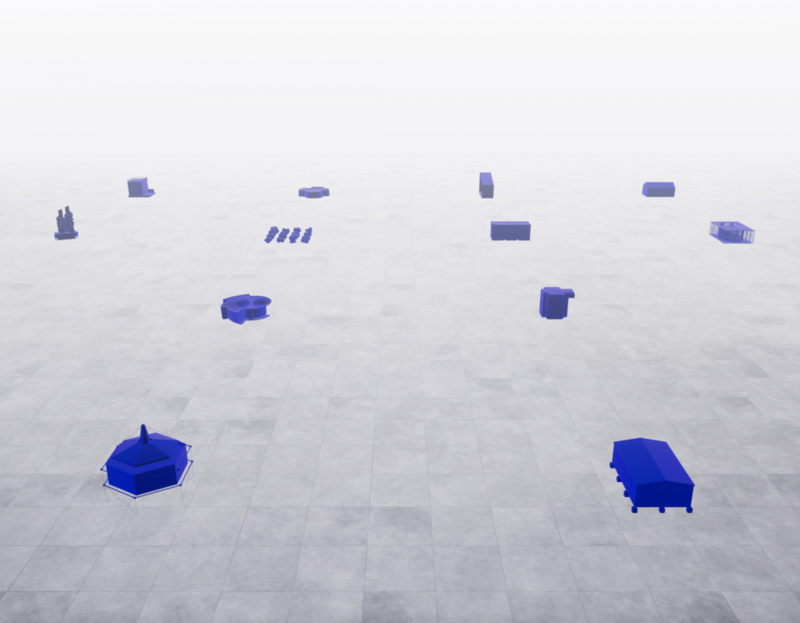 As Eve Blau explains in her speech during SANAA’s Pritzker Ceremony in 2010: [SANAA’s designs] “result [in] typological indeterminacy of the spaces that allows for enormous flexibility of use.” But at the same time, the system is bounded, and not meant to grow. The Rolex Learning Center is closed by a permanent glass facade, while the units are fixed to the ground. The idea of organicity is translated in the style of the building, but not in its functionality. 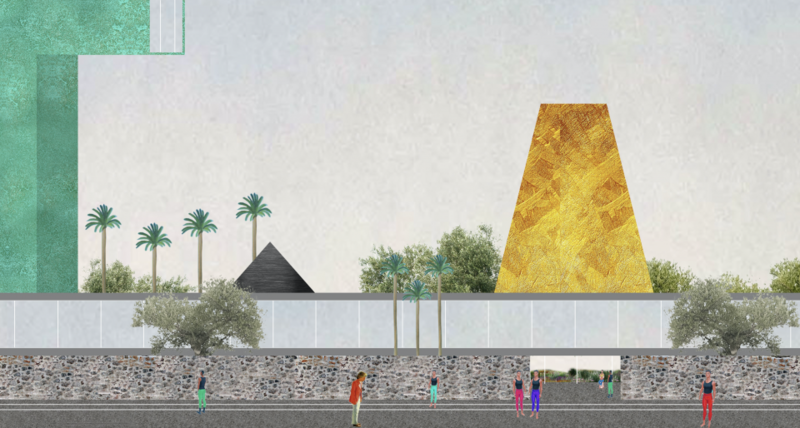 The architectural grammar of SANAA is quite symptomatic of the current blend existing in contemporary architecture between the Metabolist intuition and the public’s taste for open and flexible spaces. Although it is a clear step forward in terms of design, it is functionally a step back from the Metabolist’s ideal. The very idea of growth is ignored and no systems are embedded for facilitating future additions. While functional flexibility has taken a backseat to the aesthetic of space plasticity, the echo of the Metabolists still resonates today. The survival of Kikutake’s ideal, even if partial, is a springboard to revive metabolism in the 21th century. At a time of deep societal changes and technological disruptions, space flexibility might be an answer to reconcile society’s need for increased space plasticity, and buildings’ ability to offer such resilience. The demand for adaptable spaces is on the rise, while the built environment’s supply of space remains too rigid. A deeper understanding of society’s aspirations, new working and consumption habits and a closer look at new paradigms brought by technological innovation will convince us that a transition towards a truly flexible built environment might be closer than we think. If functional flexibility may have faded out from contemporary architects’ concerns, the public is expecting more space plasticity, as lifestyles, work, and consumption evolve in American cities. To answer such an imperative, understanding the deeper aspirations of society is essential. Work and consumption are on the verge of profound changes, specifically in urban centers. The World Economic Forum (Davos 2017) as well as McKinsey Research are forecasting structural changes that will and are already affecting our built environment. Jobs are morphing into project-based activities, with shorter time frames. Remote workers enabled by communication technology, are off-loading the work place. The community of workers is also now both a physical and virtual reality: online communities play a greater role in the work culture. Dematerialization of the office and worker’s mobility: the dematerialization of wires into WIFI and broadband connection suppresses the desk or personal office into more nomadic work habit. Porosity of spaces, less compartmentalization of activities, but constant re-adaptation of the space. A demographic shift, growth of baby boomers, Hispanics and millennials populations. Growing share of smartphone-enabled consumers (around 60% today) (8), with increasing share of mobile purchasing (15% in 2013!). Disintermediation: consumer tend to buy online directly from the manufacturer, bypassing shops and retailers. Less and smaller stores (9): Dramatic decrease of retail surfaces, under the pressure of e Commerce platforms. McKinsey forecasts a reduction by half of retail surfaces in US cities. They also noticed that newly opened stores are in average 25% smaller than 10 years ago. The result is a fragmentation of the retail space , geared towards customer engagement. Store as extension of a website: for pick up and returns of online orders. For instance, 50% of Wal-Mart’s sales were picked up in store in 2013. Customized stores (10): adapting to changing customer traffic patterns. Stores can analyze consumer behavioral data to adapt their store to usage patterns. For instance, Carrefour is using localization data of its customer in his shop to remodel monthly its shelves layout. Experiential stores: stores as a show-room for customer to engage with products, and interact with experts. Stores within a Store: Retails as third-party marketplaces. 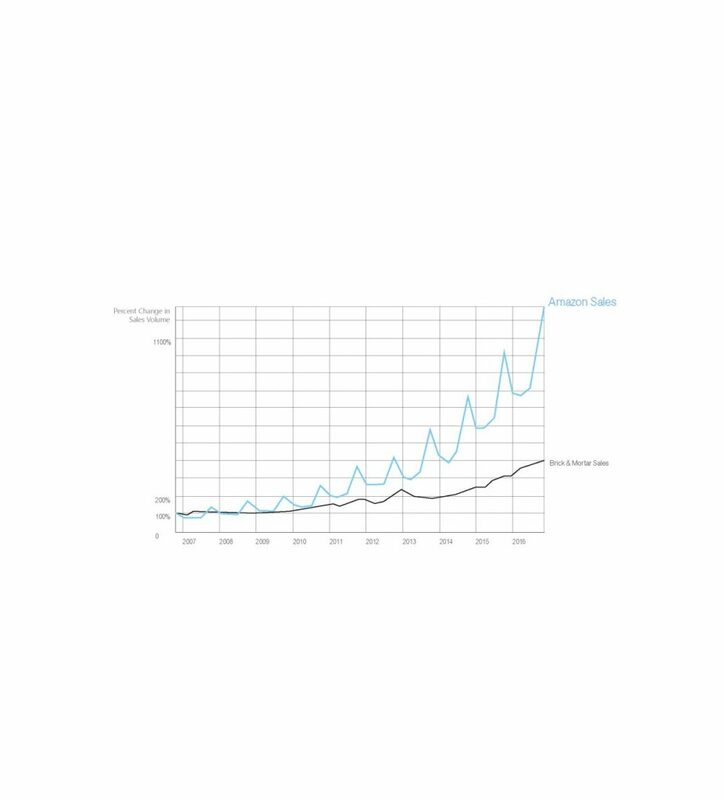 The quantity of available information about cities has grown exponentially over the past 15 years. Public initiatives have fueled this paradigm shift. NYC’s open data platforms are a clear example of urban data becoming increasingly available. In just a few clicks, stakeholders are able to collect a vast amount of granular and clean datasets, aggregated at different geographical scales (building, block, neighborhood, city-scale), and timeframes (real-time, day, month, year). In fact, open data platforms, are today a worldwide standard. The private sector is the other motor behind the recent surge in urban data production. Tech companies like Google and Baidu have taken up the challenge of mapping our built environment down to its most granular detail. From Google Indoor Maps (here on the right), describing the indoor floor plan of given buildings, to Google Popular Times, that quantifies the daily traffic in most public places and retails, Google offers today a granular map of cities’ pulse and gives us a glimpse at the future of our built environment. As urban data and our built environment’s digital footprint grows, the rise of machine learning and predictive modeling can inform the remodeling and reprogramming of flexible buildings. As demonstrated by WeWork, machine learning can be used to predict future space usage from stored user data. 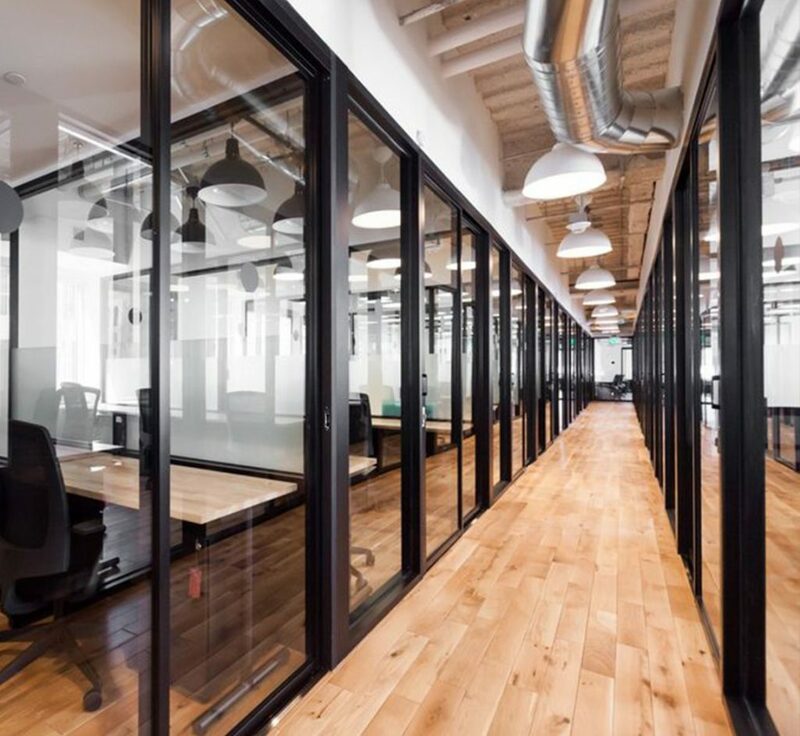 By using machine learning , WeWork is able to shape their offering ahead of time by anticipating clients’ needs and supplying the right mix of private offices and meeting room types. The predictive component of their methodology is here crucial: thanks to proper data collection and analysis, their R&D team is able to predict future space utilization, with a higher accuracy than standard designer’s rule-of-thumbs. To evidence this claim, they let a group of designers choose the mix of rooms for a given floor plate, while assigning the same task to a similar team, advised by a machine learning algorithm, trained on previous space utilization logs. As a result, the mix proposed by the algorithm-enabled team offered a 40% better space utilization than the one achieved solely by the designer team, without any predictive analytics . More broadly, this methodology developed at WeWork could be scaled up too many other programs: retail, public spaces, cafes, etc. By understanding the mechanic of occupancy patterns through predictive models, cities’ stakeholders are suddenly able to tune spaces to increase their efficiency and relevance for the larger public. In theory, forecasting future traffic and occupancy to better adapt a building’s space layout is within today’s reach. Bitsence’s work (here on the right) offers us a good example of it (13). However, guaranteeing continuous flexible management of buildings is another challenge. Remodeling and reprogramming our built environment comes at a cost: from furniture, to utilities and structure, every component of the system must be adapted to handle and sustain constant change. A new set of building systems has to be put into place to support frequent remodeling and semi-automation might be a viable and affordable answer. Far from the dystopia of full-robotic automation, semi-automation offers to embed motors and robotic devices in building elements and appliances, to simplify and speed up space layout and modification. From automatic furniture trolleys, to moving units, and automatic foldable furniture, facility managers can remove the hurdle of physical work to ease up and speed-up space layout transformations. In fact, open-space layout could benefit from best practices of other industries, such as, warehouse storage management. 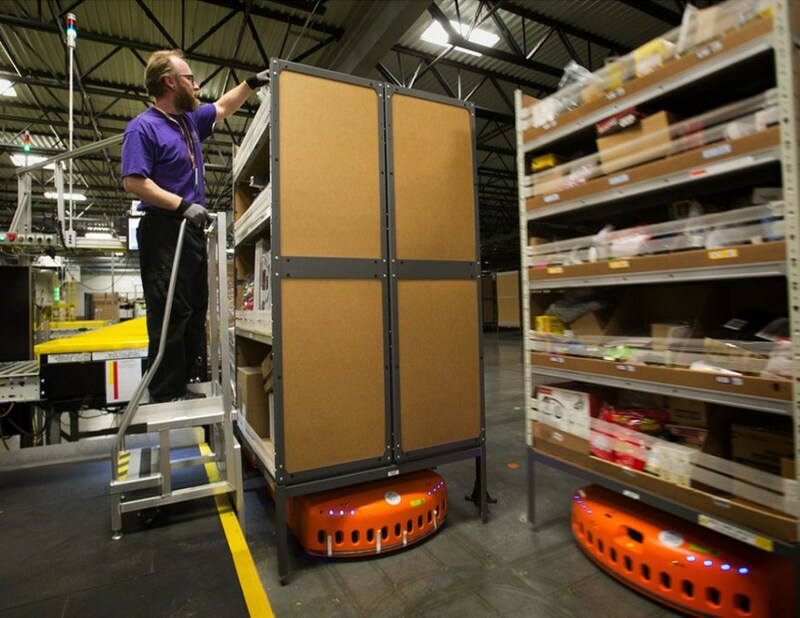 At Amazon warehouses, 45,000 robots are used to move around shelves units, as workers check the inventory of each shelf, and track packages. And if facility management is seen as a pure logistical challenge, then Amazon certainly could represent a best practice . As spaces are called to be more flexible and remodeled more often, the challenge for stakeholders will be to deal with faster space layout cycles. Semi-automation could support such a challenge and enable buildings to be remodeled more often to deliver more value, at accessible prices.. 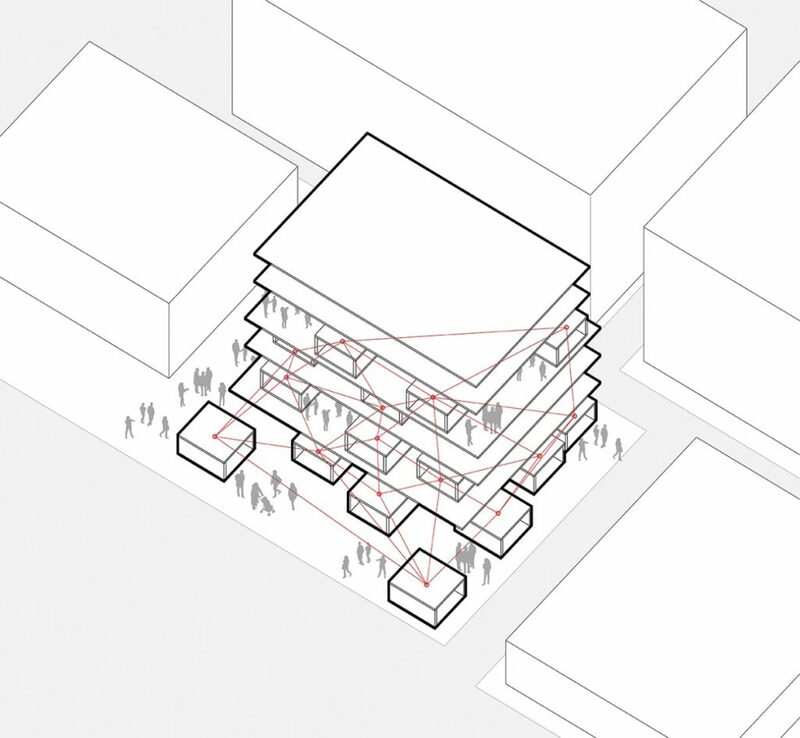 Rooted in past Metabolist’s experiences, equipped with a robust understanding of current social evaluations, and enabled by new technological paradigms, our proposal offers a new prototype for a truly flexible building scheme. One that embraces societies’ expectations, and leverages technology’s disruptive potential. More than a mere design exercise, it is a manifesto: “The Synaptic Building: Metabolism in the 21st Century”. The human neural network is at the center of current scientific explorations. Its structure is both flexible and malleable. Neurons can adapt to short term stimulus and long-term memory to layout a network of complex interactions. At the center of this biological phenomenon is the rich architecture of each single neurons, its ability to process information, as well as its capacity to work in a system to shape our cortex, over time. The Synaptic Building offers a new definition of our built environment, as a synaptic network, mirroring the principles of the human neural network. 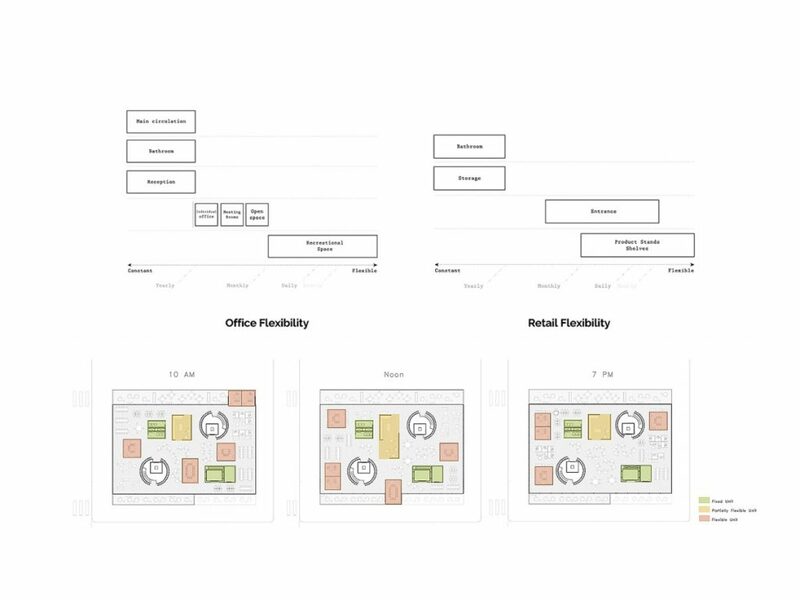 The same way our cortex performs through the action of individual neurons, a building can be thought as a set of connected “units” (elementary cells of activity, ie a retail, an office, a kitchen), that migrate and evolve across the building floors. A new usage implies a new space layout, a new space layout results in new building performances and new performances inform the space layout. The Synaptic Building typically would be at first five to six- stories high. Additional floors could be added later, allowing for vertical growth of the building. The structure, made of large steel vaults, is reduced to a minimal footprint, and merged with the vertical circulation to free up space as much as possible. A series of LED lights is spread across the ceiling, offering entirely controllable lighting conditions across each floor. From retail and restaurant on the ground floor to co-working spaces on the upper floors, each plate is a radical free plan with few structural constraints, minimal impact on the vertical circulation, and adaptable lighting. Within these conditions, the “units”, or “cells” hosting the program are spread out in the space. These cells can then move “semi-automatically” thanks to motors in their lower plate. During the day the units can be easily moved around or folded to be stored to accommodate different usage. Once units are in place, automatic trolleys help the FM layout furniture. As workers arrive and visitors come to the shops, the units are laid out in a grid like structure, to offer a simplicity of circulation, and optimize space usage. At the upper floors, in the co-working spaces: individual working spaces are located at the periphery, common working areas are pushed toward the center, while the kitchen and recreational spaces are secluded to the center of the plan, and under their most compact form. At Noon, the units of the ground floor spill out to the street, inviting the public inside. At the same time, by freeing the space inside, the facility manager can install more furniture (chair, tables) to welcome restaurants patrons. The ground floor is tuned into a food court for the next 2 hours while retails are pushed to the edge of the plan, to free as much space for the central recreational space that has grown in size. Finally, at 7pm as the activity in the building decreases, and the retails close, the retail units are packed together, offering space for large restaurants. The deemed light of the LED ceiling offers a perfect atmosphere to welcome people through-out the evening. As opposed to the Metabolists, who did not truly foresee what would trigger their buildings’ evolution, the flexibility claimed here is informed by analysis of occupancy data collected all along the year. In a short-term perspective, this choreography of units and spatial layouts is controlled by the FM and the occupants. Every day, data on users is gathered by sensors and fed back to the system. Users can also give feedbacks online and partially control the building settings such as local lightning condition, heating, and furniture layout to better fit their immediate needs. In the meantime, the FM operates the building according to a schedule informed by users’ data, feedbacks, and short-term efficiency metrics. Over the long term, hybrid teams of data scientists and designers will work to optimize the building’s “choreography”. Using monthly aggregated contextual and indoor data, they will soon be able to isolate and systematize usage trends, predict the future building’s needs, and users’ behavior. Using these outputs, future space layouts will be defined, and turned into space management schedules. Flexibility happens in fact at different scales and paces in the Synaptic Building, from hourly furniture layout, down to monthly partition remodeling. To qualify the variety of cycles at play, we propose to use Stewart Brand’s framework, the “Shearing Layers of Change”. 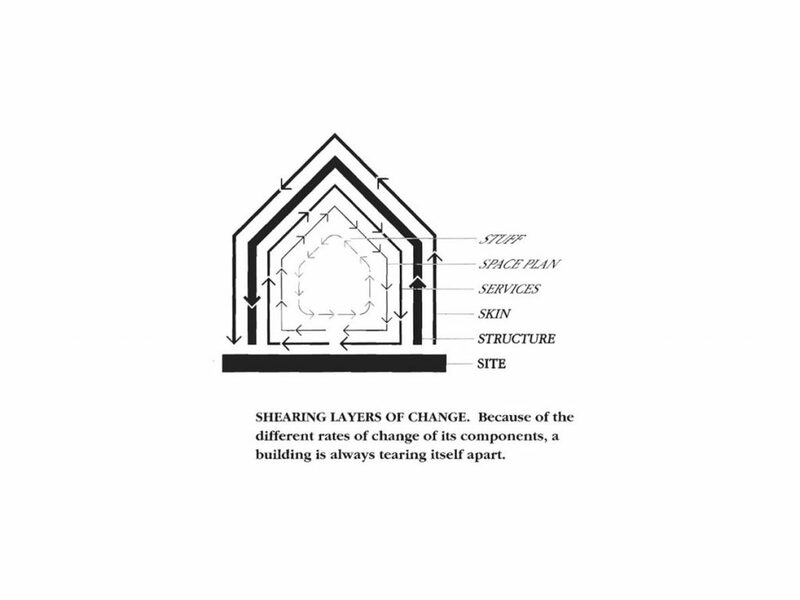 Brand proposes a diagram to sum up Frank Duffy’s idea that “building[s] properly conceived [are] several layers of longevity of built components.”. His framework identifies 5 groups of elements in buildings: the Structure, the Skin, the Services, the Space Plan and the Stuffs. Each group has its own lifecycle, constraints, properties and should be treated accordingly. Breaking down the Synaptic Building into these 5 groups, will help us understand their respective flexibility. Starting with the Structure, the Synaptic Building learns from the Nagakin Tower’s downturn: no relationship of interdependence exists between the units and the structure. Laying out the units and moving them around is strictly independent from any structural concern. Although maintenance is required for this layer, it is not concerned by the type of space flexibility we want to address here. 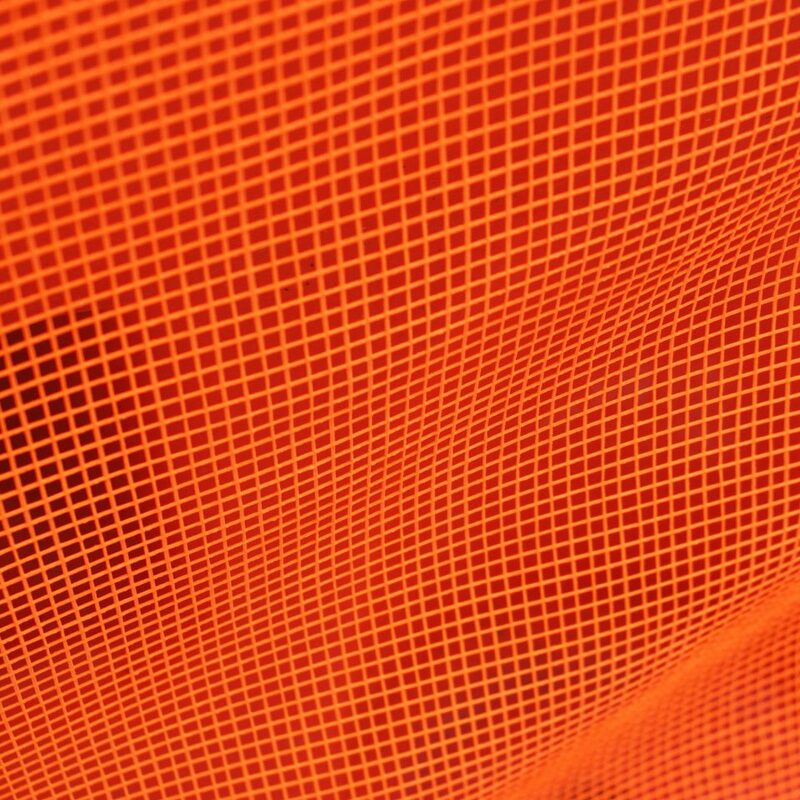 The Skin will provide enclosure and flexibility to the program. Constituted of modular foldable panels, the facade will be able to achieve both enclosure and porosity, to adapt to the units’ movement: opened when units spill out to the street at street level, closed at night to secure accesses. The Services, as defined by Brand, include all the networks and wiring of the building (HVAC, outlets, lighting, etc). They support the Space Plan and insure (or secure) its viability. For both reasons of costs and practicality, services will not be adapted constantly, but rather will be fixed and disseminated evenly to be able to support any kind of space layout. As the units move, so should the furniture or Stuffs. Chairs, desks, couches and arm chairs follow the cycle of the moving units and are laid out to “fill” units and gaps between them, therefore defining space’s functions. The increase cycle speed can be handled by the FM due to foldable furniture, and semi-automated furniture trolleys, that minimize the physical work. Given that units carry robotic motors in their lower plate, they can be moved around faster and easier than traditional partitions. Within the Synaptic Building, we therefore manage to curate different level of flexibility, to balance space plasticity and permanence across the building. A synaptic built environment is not the mere reflection of current trends, but a radical proposal for the future of cities, grounded in long term societal and technological changes. First of all, our proposal addresses the demographic shift of our century. The accelerating densification of urban centers is increasing real estate prices, putting pressure on rental markets. This reality, correlated to the space utilization inefficiency of current buildings, makes the synaptic definition more relevant than ever. Then, the states of technological innovation enable us to achieve true flexibility. 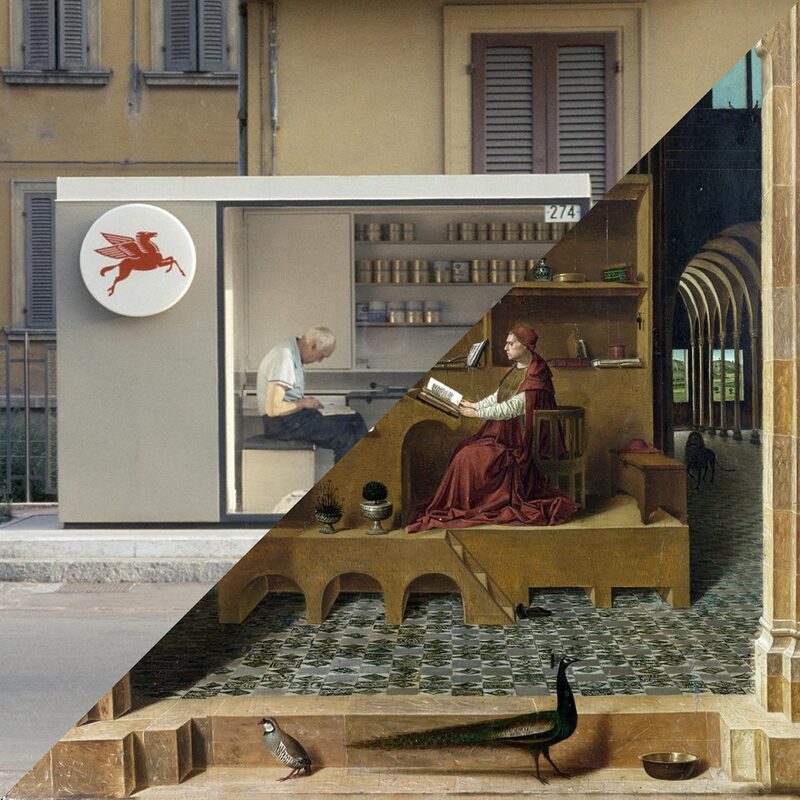 On the construction and operation side, modularity and semi-automation enable the production of low-cost mass-produced buildings, and their operation at always more competitive costs. 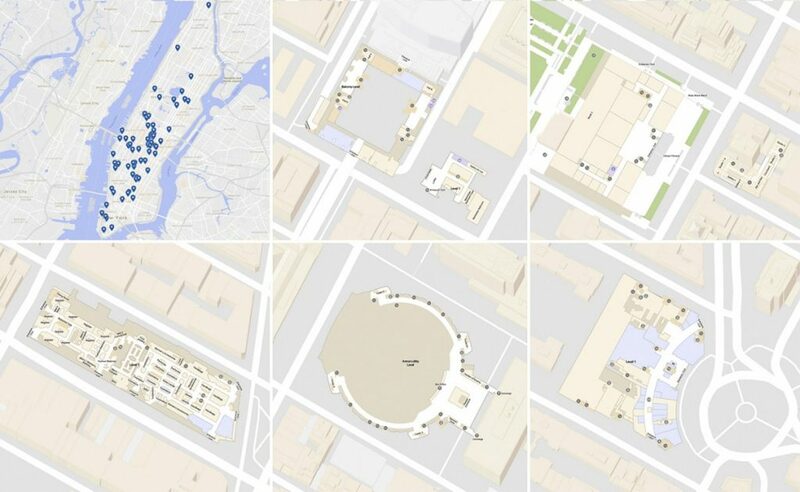 Also, from an information standpoint, the availability and aggregation of spatial-data allows stakeholders to understand and predict users’ activity in buildings at more granular level; a brand-new opportunity to eventually inform space’s design, and remodeling. Finally, and perhaps more fundamentally, the true disruption at stake in the Synaptic Building, is the birth of new field: time-based building design. Aside from the pure constructive reality of a building, the architect is invited to understand, predict and eventually design the activities the program is expected to host. By working within a hybrid team of sociologists, anthropologists and data scientists, architects will soon have to surpass their current set of skills to understand the future users’ behavioral patterns and cycles and adapt their building conception accordingly. In other words, rather than delivering a building as a finished product, the architect will have to define the ongoing “choreography” of each floor plate over time and assist the owner to define the future of his building metabolism. From the form to the function, it is a quantum leap for the profession of architecture that turns upside down the definition of space design and redefines the very essence of the profession. How and to what extent does the digital format through which you mediate the project influence the type of images and mediums used? The digital format offers in my opinion more freedom, especially when it comes to animation and the representation of dynamic phenomenon. In the case of the Synaptic Building ( http://stanislaschaillou.com/citx ), using digital methods and representation allows me to showcase the notion of time-based urban environment, where the plan of the building changes over time. It is only through the medium animation that I can render this notion fully. What programs did you use for the Synaptic Building? What defined the use of black and red coloring? The design of the Synaptic building required two major steps, that digital tools helped me tackle. First, defining the movement of parts in the building, or how furniture, retail and partitions would be moved through time necessitated the development of meaningful insight. To do so, I used Python, a standard programming language for data science, to develop tools that would enable to gather information on the surrounding of my building, understand the pulse of the neighborhood, to finally simulate traffics and occupancy logs. From their I could simulate the movement of parts in my building, thanks to grasshopper and basic C# scripting. In a second time, to represent the building itself, I used at first quite standard tools: plans in Rhinoceros, renders in Vray, post-processing in Photoshop. However, as my design was dynamic, and I had ot find a way to convey the idea of space flexibility, I turned to After Effects to produce animations and GIFs that could best express the “choreography” of parts in my design. The color black and red were used in these animations to differentiates between the infrastructure (in black), and the activity and users (in red). 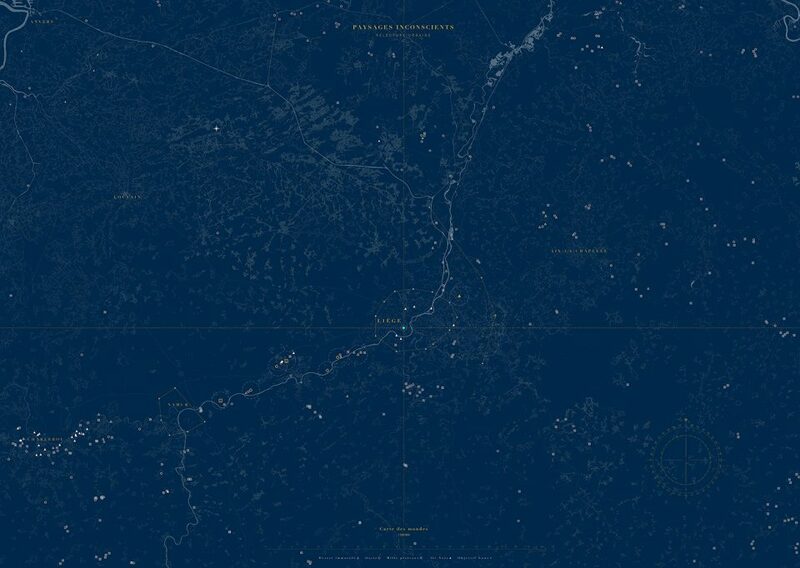 What is your take on our contemporary obsession with the collection of data? How does your project position itself in relation this? Do you believe this condition will be feasible in the future? Data collection is just the tip of iceberg. It is on ongoing effort coming mostly from other industries, that result in the accumulation of vast and available repositories of information. Architects are today given the opportunity to tap into these databases to inform their design, and maybe change their practice. This is precisely what the Synaptic Building offers: a new design paradigm and a methodology that uses existing urban data to change the very notion of space planning. If data science has tremendously impacted neighboring industries, ours might just be on the verge of discovering its potential. It is for architects both an opportunity to regain expertise, and the occasion to renew their practice. Where do you envision the future of computer science in relation to architecture? Where does this leave the drawing? I believe architects still have a lot to learn from the world of computer science. Paradigms coming from the “CS world” can be brought to our discipline, in two main ways: to inform our design, and to assist our process. I have already touched upon the notion of information in this interview. I would like now to elaborate on the idea of machines as design assistant. I am in fact currently working on the topic of suggestive design (http://stanislaschaillou.com/suggestive-cad/) , or how computers can assist designers in their everyday job. This project is the opportunity to recognize the change happening in our discipline, where machines and information can be leveraged to enhance our work and technic. Suggestive design offers to provide designers with options and solutions all along the design process. As an example, an architect drawing a plan, would be served with relevant geometries/objects/plans during drafting, options that could either complement, or improve their current drawing, or even forecast the next steps of their sketch. Far from the idea of “automating” the architect’s work, suggestions are a way to broaden the set of possibilities, and references used by architects and designers, without tempering with the design process. More deeply, suggestive design is a stepping stone towards a more integrated practice of CAD, where computers and architects truly complement each other during the design phase. Where do you position yourself as an architect in this new era of a hybrid co-working team? 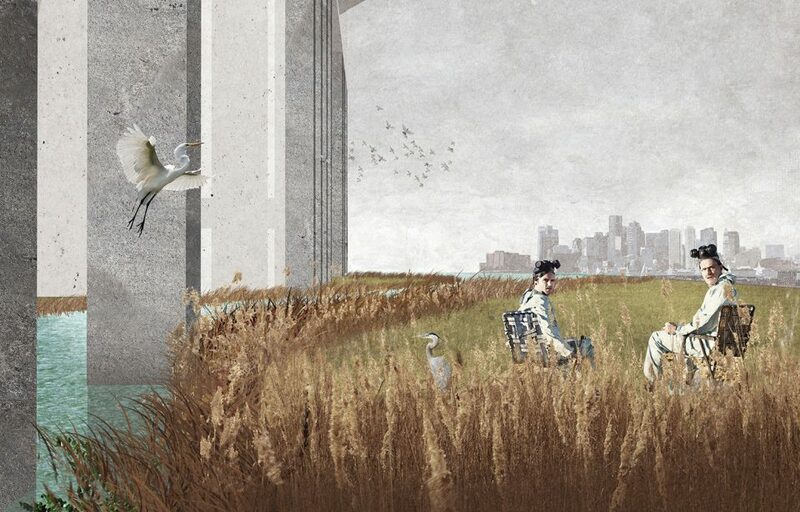 How will this new way of working challenge the tools through which we craft architecture? How does it have the potential to change the very notion of architecture? I came to realize that collaboration is only as good as the tools that a team is provided with. The model of hybrid co-working teams translates in architecture into new power structures, where the expertise of an entire team is gathered to work on one single 3D BIM model. This radical change in our profession still lacks proper software to offer a friction-less platform to collaborate. Current BIM software are a clear improvement to previous CAD software, but don’t fully reflect yet the implications of collective work. And this is precisely where I believe architects have a role to play, in helping to craft the tools they will use tomorrow. Bringing our expertise to design the next generation of 3D software is crucial to both our discipline and to the construction industry at large. This will inevitably change the culture of Architecture along the way: I believe architecture students and professionals will be called to build new expertise in computer science and data science, to be able to take up the challenge.